122. 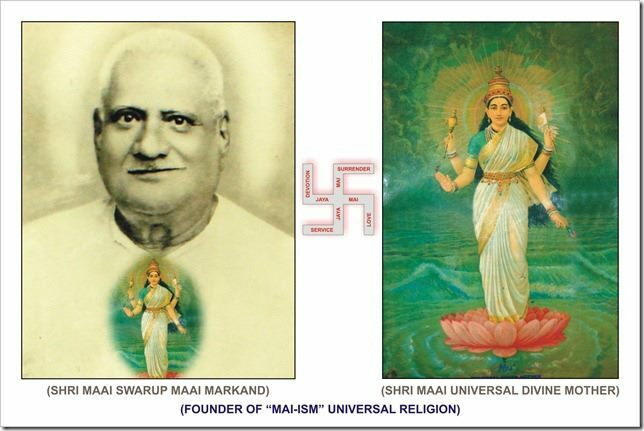 One great point about the Founder and Mai-ism is that most of the persons who have been appreciating and accepting Mai-ism were in personal touch with the Founder and had more or less some experience about the existence of God or Mother's grace on Her worship or Mantra repetition. The above-stated instance was a more developed variety of a similar experience at Ahmedabad. After the usual Friday Mother's Lodge worship was over, there had remained about 30 persons of the inner circle. Some of them strongly requested the Founder to show them some miraculous happening which would increase their faith regarding the existence of Mother and Her readiness to carry out the wishes of Her devotees. It was at that most sacred place that, a year before, the Founder was discoursing on Mother's names and dealing with the name "Suvasinyarchana Preeta"; and there was a strongly powerful breeze of the most fragrant smell. It was so very pleasant that every one began to ask others, "Do you feel the most pleasant fragrance?" "This is how Mai wants to assure us about Her love to Her son, and the truthfulness of what he preaches." The sermon by the Founder stopped awhile. Just then, some ladies who had gone to some marriage parties had joined. Some one got a suspicion if it was not those ladies that brought with them this wonderful smell through strong scents from there. The inquiry was made of them and the suspicion was found to be baseless and imaginary. This former experience being talked over again gave a strength to the desire of all present there, to make the request more pressing. The Founder asked; "What do you want to see?". Some said, "We wish to see that Mother gives Her garland to you." The Founder prayed for a few minutes standing before Mother at a respectful distance. The garland gradually untied itself, flew in the air, and fell on the neck of the Founder. 123. All were thunderstruck, because a mere belief is, after all, an imaginary thing; what people actually see with their own eyes is most convincing. Some began to applaud the event and stated, "Till now we had only heard and read that Lord Bhagavan Krishna Prabhu had given garland to his great devotee Bhakta Narsi Mehta in a closed room, but here we saw Mai giving garland to Mai-Markand just before our very eyes." 124. The Founder does not give great importance to miracles but there is surely a stage when the miracles do the eye-opening work for many people who are really of an atheistic mentality, but who courteously and not honestly assent to the beliefs about the existence of the other world, or life after death, or invisible spirits, deities and God. Their assent is only mostly out of fear of being thrown out from society of God-believers and for so many other reasons. Saints do not count upon miracles to enlarge their influence, but these are casual happenings managed by the Deities themselves to enhance the value of their devotees so that, they be heard with love, faith, and sanctity, respect, and obedience. The Founder very humorously says, "How do miracles help you and me if you do not make a point of being of the deserving plane in the matter of your devotion, love, service, and surrender? I would show you actual Mai Herself, but you are the same person that you were before the Vision. You would be telling Mother, "We, I and my wife, are going to cinema. Please rock the cradle of this child and keep meals ready, when we return." " Where is the joyfulness, the ecstasy, the madness, the feeling of having been blessed? Where is even the readiness to lose only an atom of your selfishness and worldliness? You would be simply exploiting Mother and that too most discontentedly and ungratefully. " Mother do this and Mother do that", yourself doing nothing for Mother except babbling some few words of praise, a little trouble of twisting your tongue to cheat the world, yourself and the Guru hypocritically. Mother is afraid of you all. The height of ungratefulness is that you do not even talk about your gratitude or even of the experience to your husband, wife, children, friends or neighbors; not even to a sparrow, nor permit even walls to hear you. You bury the experience and gratitude, both, then and there. She prefers being neglected and ignored rather than be exploited and expedited and expelled after your need is served." 125. 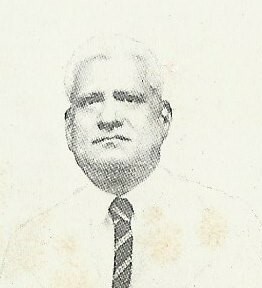 At Poona after retransfer in 1938, the Founder had at that time much greater contact with Madrasees especially of Military Arsenal at Kirkee. Madrasees showed a different variety. They were not so much for singing and bhajans but were more fond of intelligent scriptural authoritative religious discourses with a unique respectfulness and the attitude of a humble disciple before his Guru and grandeurful costly worships and Mantra repetitions and rendering most efficient and humble personal prostration and the service to the Founder. Prasad, flowers, and decoration of the place and of Mother's picture would be showing pains taken and expenses incurred. Plentiful feeding, though of simple commonplace diets and dishes, would be invariably there at the close of any Mother-worship function. The Founder has in his memory the one glorious instance of Mother-worship in Kirkee when not less than 20 thousand rose flowers and jasmines were dedicated to Mai and there was a huge congregation of over 500 persons sitting for worship, Arti and Patha repetitions. As everyone knows, Madras is the place for religion and religiosity. Madras-mentality is this, "If you go to God or Guru empty-handed, you return not only empty-handed but also empty-headed." Founder humorously says "Bhajan and Bhojan (Gana aur Khana) are no insignificant factors in Religion." 126. It was these Madrasees who had been very helpful to the Founder in writing down to his dictation, transcribing and rewriting and typing and correcting, etc., the manuscript of his two volumes of Mai Sahasranama. 127. 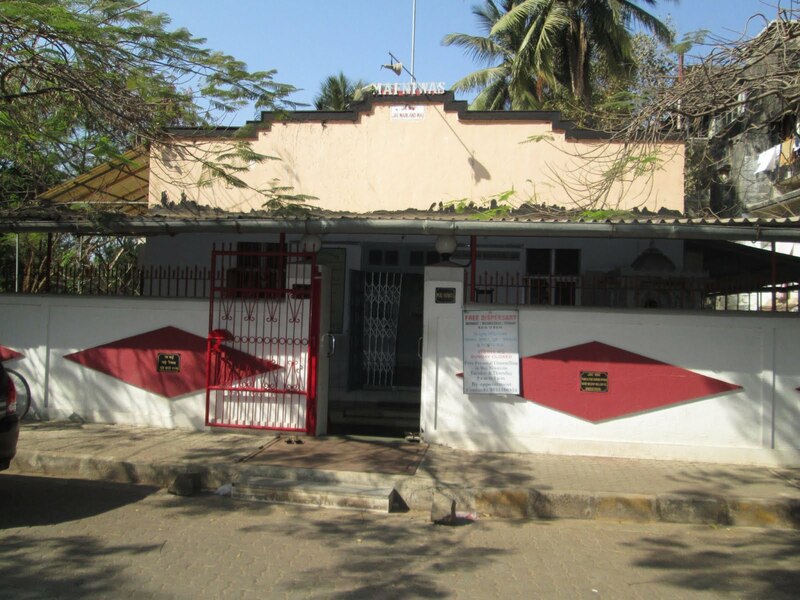 For the latter half of the year of 1942, the Founder was serving in Bombay. This gave him a great opportunity to spread Mai-ism and to give convincing proofs to different people what miraculous benefits Mai's devotion and worship is capable of offering to our much needy and suffering world. 128. Here too, just as in the matter of miracles, people commit the same blunder. As Founder says, " People lose their barest commonsense as soon as they sit in judgment on matters of religion; even the most intelligent and wisest of them, sometimes. In fact, the mind gets more or less bewildered as in an unknown land when it begins to think about Religion." 129. Some people began to think that the Founder had no higher ideal than relieving the worldly miseries of persons who approached him and they hence censured him representing him as on a much lower level than even the average worldly men. The Founder says, "If you find a Governor addressing a huge meeting of Mahars in Maharwada giving some instruction as to how the houses should be kept clean, how to be giving education to their children, etc. would you commit the blunder of saying that the Governor is a Mahar and is a resident of Maharwada? No; even a boy of twelve will not commit such a foolish blunder. But, when people sit in judgment about religious matters and religious persons, they have absolutely no idea that the Principal of a college would sometimes take pleasure and be considering it a voluntary duty to be teaching a primary class in the simplest and the childlike manner of the primary school-children. It has been the centuries-old wrong notion and mentality to consider worldly-distress-relieving work to be a much inferior variety of religious work. The highest seat would be given to one who bombastically talks Gyana, Vedas, Geeta discourses and explains different Schools of various Beliefs, Darshans, and philosophies and makes astounding professional exhibitions. The next place would be given to the poor and humble Bhakta (devotee) who tries to serve the opium of devotion to create forgetfulness. The man who advises on practical-life-matters or helps or serves people in distress or helplessness is only some Mr. So and So, nothing more than a good and kind man. There are innumerable instances in Puranas, where Rishis and Munis have helped and served the world and people in their most mundane matters and have been all the more revered for their service and sacrifice, (Rishi Dadhichi for instance, who gave his bones). But somehow, since so many years, perhaps centuries, Service and Sacrifice have lost all religious recognition. Divine knowledge and devotion-talks and ceremonious functions and ritualistic performances, temple-going, pilgrimage-running. river-bathing, saints-crowding etc. have altogether ousted both public and private source and sacrifice. The bankruptcy of inner richness is tried to be made up by creating inflated values for external easily manageable actions. Stuff-less people are always extremely particular about handsome and costly dresses. Man-to-Man relationship, conduct, character and behaviour etc. have been thrown in the background, whereas talks of Man-to-God relationship, divine knowledge, and devotion, and scripture-prescribed-religious undertakings like Yajna, Homa, Sandhya, eating, bathing, not-touching, etc. have become, practically, items of highest importance, in the matter of the definition and summation of Religion and Religiosity (as understood now). It has been most convenient both for the Guru-world and the disciple-world, to keep their eyes constantly closed towards practical ways of living life and imperfections and defects thereof. 130. Once a city was overflooded and the river-water left its bank limits. So many lives were in danger. A circus manager and proprietor engaged not only his whole staff but also elephants. All worked day and night. The proprietor was giving detailed orders and instructions. It was a terribly tiring work. He saved so many lives and so much of merchandise. Naturally, he could keep up his sustaining heroic power only with alcohol. He was standing for hours together in the Sun, getting into waters. He had spread no pains. He had risked his life. What about the religious response and recognition? The Founder heard of his drunkenness and frequent drinking and his being condemned as a drunkard twenty times more than of his bravery, service, and sacrifice. That is how people understand Religion and how they have been taught Religion. 131. They cannot forgive him, his drinking, while he was saving lives after lives. Popular religion does not go beyond worshipping the Gadi-patis of religious rich temples, prostrating before Gyanis in fat-fed Ashrams, enjoying prasads, and hearing or talking about philosophical teachings of Atma-Paramatma-subtleties. 132. To have both, the spirit of service and sacrifice, and yet the complete observance of the religious requirements as understood by people is surely most commendable. That is what these idealists insist on. But if both don't go together, Service and Sacrifice should not go altogether unrecognised as nothing. Mai-ism wants such a misunderstood notion about Religion to go. There are two extremities. One of a religious class to whom drinking as in this case is more hideous and unforgivable, even when having to do such a gigantic and risky task. The other extremity is that of an entirely irreligious class. 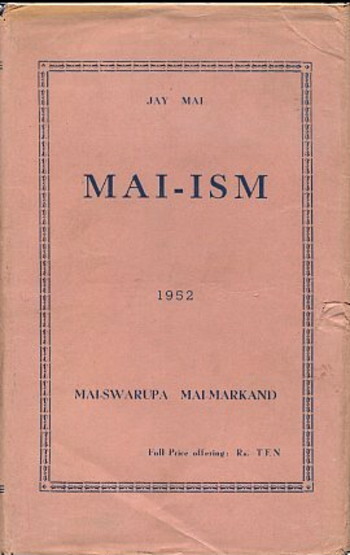 Mai-ism wants service to humanity being recognised as not simply a good and praiseworthy act, humanity but a fully religious act, as good as feeding Brahmins or performing a Laksha-Chandi. Here lies the difference of one type of religiosity and the other, and this is one of the main arguments mainly putforth by youngsters who have left religion, in their defence. It is not " everything same ", to call a certain act as, "merely good" and as " surely religious". The difference is this. In a religious act, God's-Grace-propitiation and return are guaranteed. The idea of voluntariness is aptly substituted by that of a religious duty. The difference is to them alone who want to modulate and regulate their lives as per beliefs requirements and notions stated to be religious or otherwise. 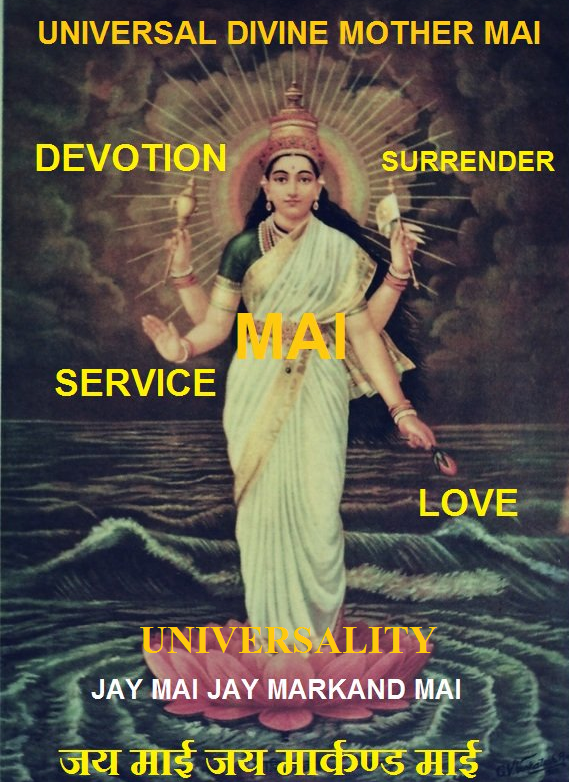 Mai-ism most emphatically says that Selfless service with nothing-sparing sacrifice and without any expectation of even the faintest recognition, is as religious and Mother-propitiating as Mother-worship, prasad-distribution, Mantra-repetition, etc., if not more. Who is dearer to you, if you are hungry, one who without a word prepares toilingly a dish for you and holds it before you? or one who sits in front of you reciting your praises up to the skies?? 133. People lose their head and common sense when they think about religion and religious matters and religious persons. There are wrong judgments in Religious matters because mostly they are never untainted and without the contactual influence of some misunderstandings and some wrong notions and impressions. Beliefs, tendencies, likes, and dislikes play a predominating part in the matter of religion and religiosity. Unknownness, unfamiliarity, unapproachability, and mystic aloofness becomes an enchantment to some and a matter of dislike and disgust, to others. Richness, plentifulness, grandeur, impressive talks, unforgettable scenes and experiences, one's own nothingness-creating temporary atmosphere, Divinity-invoking silence, and solitude, retired peaceful quietude, suitability and congenial circumstances to forget the burning worries of worldliness and worldly life etc., create an imaginary heaven for some. For some others, a certain prevalent mood, or a certain unhappy mentality spoils the whole picture. All these factors by their presence or absence play an extremely important and invisible part, most unconsciously in all religious judgments. Religious effect is the cumulative result of hundreds of unknown notions and emotions. These factors or their reverse create certain once-for-all impressions prepossessions and prejudices, which form the basis of all subsequent outlook and usual angle in the case of each and every individual dealing with Religion and Religiosity. That is a hard working. Externally the extraordinariness of so many varieties of religious persons, their talks, thoughts, and ways of living, all drive thinkers' religious imagination to soar and fly in its limitless skies. So many subtle personal inherited and acquired factors of beliefs and disbeliefs, likes and dislikes, and infatuations, and disgusts rush in and most unconsciously and invisibly give their bold deep color; to the whole vision and to the subject-matter viewed and considered. After all, what prominently counts is one's own personal individuality and experience and one's stage of development and spiritual attainment. In a word, the working of the head, the heart, and their combination in the realm of religion is extremely complicated and perplexed and baffles best psychologists and logicians. INTRODUCTION - " IN APPRECIATION "